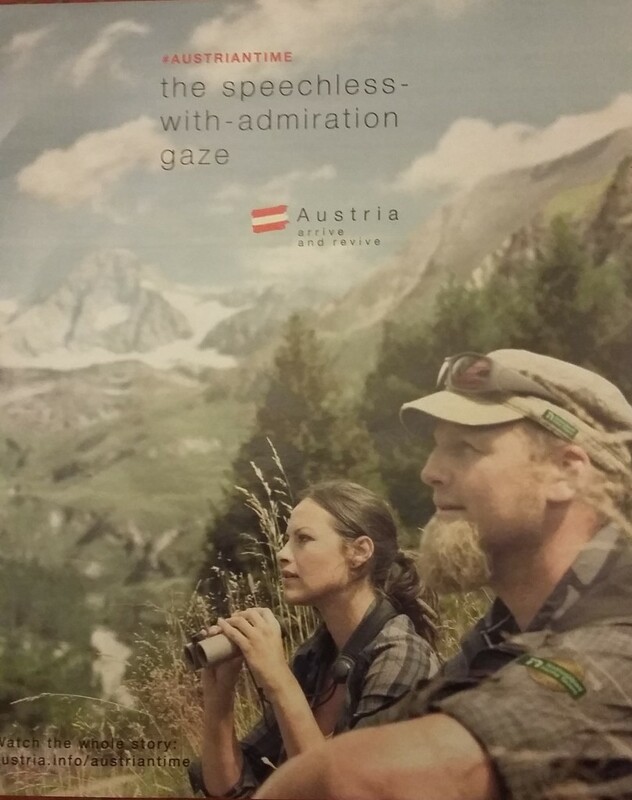 Does this make you want to go to Austria? If you’re a bird-spotter, then possibly. But otherwise, what on earth is going on? Who is ‘speechless with admiration’? What are they admiring? Either the girl is ‘admiring’ the view, presumably some wildlife, or she is admiring the guy. He, presumably, is a guide, possibly with a specialism in bird spotting? So we have a presumably single woman (as there is no partner or family in view) admiring an unseen view, accompanied by an ‘outdoorsy’ chap with a slightly odd beard. This doesn’t seem like the key market for Austria. Maybe the ‘arrive and revive’ theme is aimed at overworked singletons, but isn’t she actually looking the wrong way? 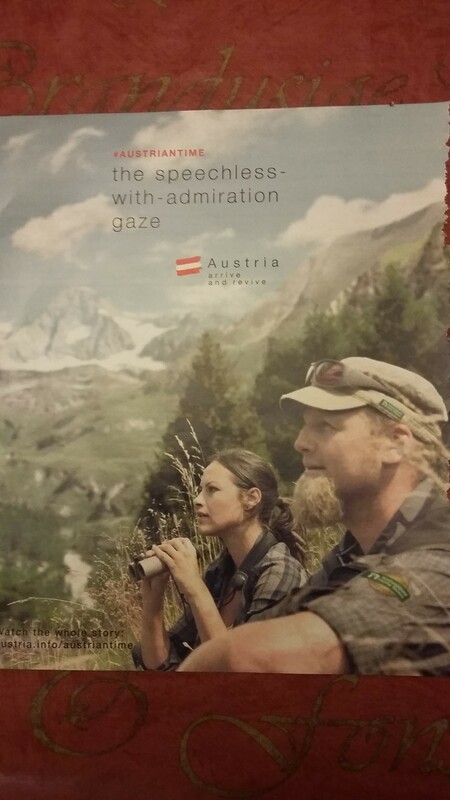 The greatest feature that Austria has to offer are the mountains that only appear as the background in this image to the unknown other activity. Austria is a wonderful place to spend a summer holiday. Whether walking, trekking, cycling or simply touring around, there’s so much to see. But to persuade British holidaymakers to choose the country over the many other options available across the rest of the world, there needs to be a more compelling image and copy than this.